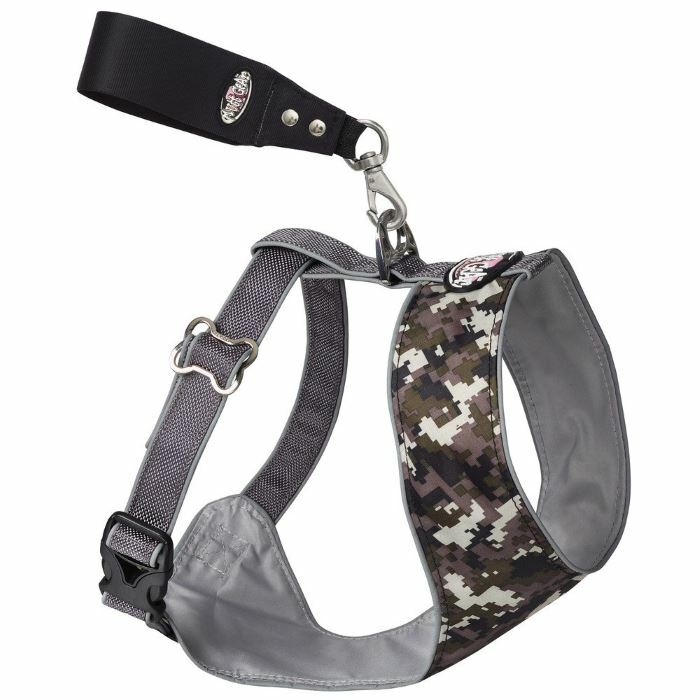 This Camo Over Head Dog Harness is revolutionary - design AND comfort combined! The Camo Over Head Dog Harness will let your dog step out in comfort and style. It is a comfortable and cool harness for the sporty dog. 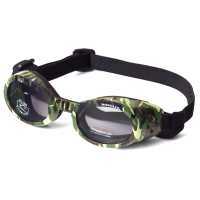 Easily fits over the head and adjusts to a perfect fit around the belly. Ballistic materials on chest protect from sticks and rubs. And the best part? All the added safety features! Lined in reflective trim; includes a car seat restraint loop. Contour chest panel made of soft, durable 1680 denier nylon, fits over the head. Fully adjustable by sliding the unique dog bone sliders to make the perfect fit. 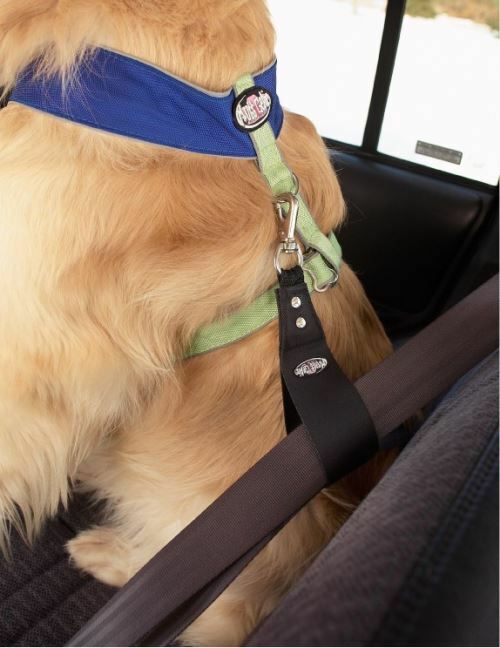 Each harness comes with a car seat restraint loop.